Although by no means a large nation, Malaysia is an incredibly diverse one. Whether your interests are culinary or cultural, whether you’re a nature lover or bargain hunter, the country has it in spades. Here, we explore the rich cultural and natural heritage of the two amazing states that make up Malaysian Borneo, and urge you to do the same. The land of the white Rajahs and hornbills, Sarawak’s intriguing mix of ethnic cultures, colourful history and landscape has long enthralled visitors. While we are not suggesting Kuching is the cultural capital of Sarawak, its living heritage of indigenous cultures and practises, and support by both state and federal government tourism boards, has helped turn ‘Cat City’ (literal translation of Bandar Kuching) into a cultural hub to contend with. Begin your journey at the Sarawak State Museum where little has changed at the Ethnology section. Located in a beautiful 19th century colonial building set on the edge of a public garden, its collections will remind you of Victorian curiosities including dusty stuffed and mounted animals. In stark contrast is the The Urang Sarawak: Pameran Tentang Kita (Sarawakian: an Exhibition About Us) exhibit. Situated in the adjacent building, this highly interactive and imaginatively display delves into Melanau, Kayan and Iban cosmology, providing a fascinating framework for practises like traditional medicine, shamanism, burial rites and headhunting. It also explains the impact of the Brookes (the White Rajahs) on cultural practices and tribal loyalties. We learned more here than we had in any history class! We were invited to the inaugural Rainforest Fringe Festival in July last year, and were so bowled over by what we saw and heard, that we can’t wait for this year’s edition (PS: it’s taking place 6-15 July 2018 in Kuching). Bringing together music, arts, film, crafts, and culture in a series of events, exhibitions, talks and screenings, organiser Joe Sidek and team (the same creative force behind the fantastic George Town Festival and Butterworth Fringe Festival in Penang) have curated a thought-provoking event against a backdrop of gradually vanishing indigenous cultures and bio-diverse ecosystems that lent a sense of urgency to proceedings. Held over ten days and providing a perfect prelude to the Rainforest Music Festival, last year's highlights included a talk on British Naturalist Alfred Russel Wallace (famed for having collecting specimens and writing Sarawak Law, which proposed ideas on evolution predating Darwin’s Origin Of Species) and local artist Raphael Scott Ahbeng’s emotive Sarawakian landscapes. Plus, there was also acclaimed wildlife and nature photographer Chien C. Lee’s breathtaking captures of Borneo’s amazing flora and fauna, a fashion show including designers like Kuching’s own Tom Abang Saufi, and traditional tribal tattoos. Mark your calendar and discover this festival for yourself this July 2018. 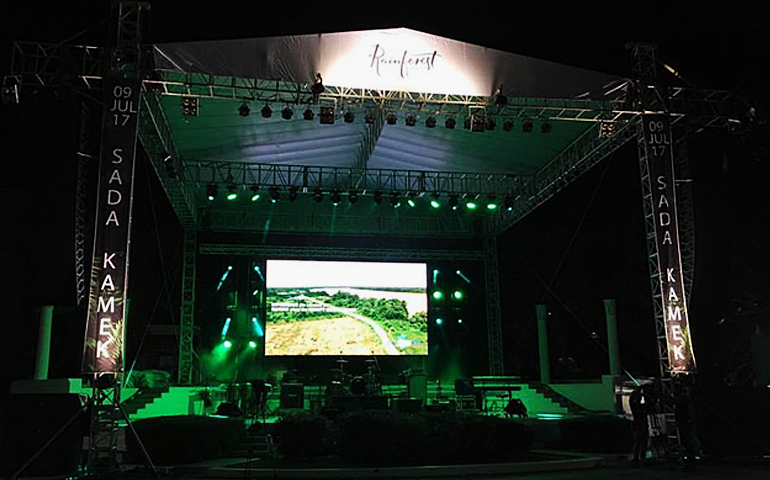 With 20 editions to its name, the Rainforest World Music Festival has undergone various permutations but retained its laid-back charm and earthly energy. Held annually in July, its rousing mix of world and indigenous musical performances by world class artists and intimate workshops make it unmissable. 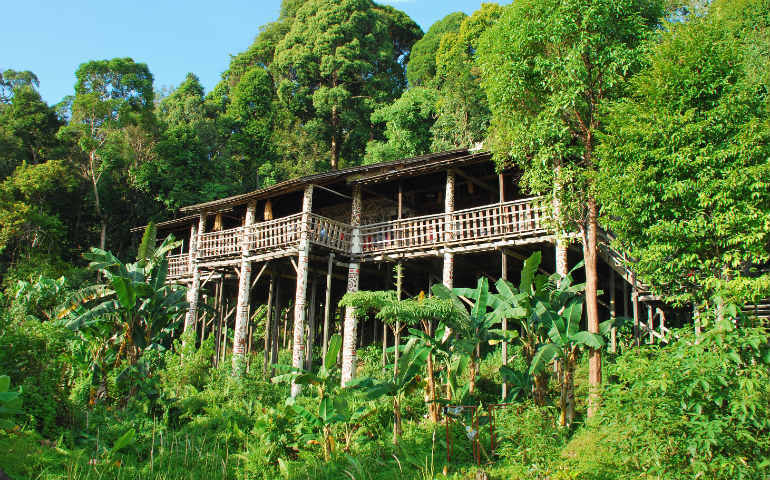 Additionally its location in the Sarawak Cultural Village at the foothills of Gunung Santubong provides a chance to wander through the varied traditional houses of Sarawak’s many ethnic groups. We'd be hard pressed to pick Malaysia's most beautiful state, but Sabah is a strong contender. A land of contrast located at the northern tip of Borneo, its confluence of mountain, sea, and forest has turned it into a top eco-tourism destination. Championed by Sir David Attenborough, who has repeatedly filmed here for his wildlife documentaries, Sabah is home to the Kinabatangan Wildlife Sanctuary, a narrow corridor of forest that snakes alongside the mighty Kinabatangan River. 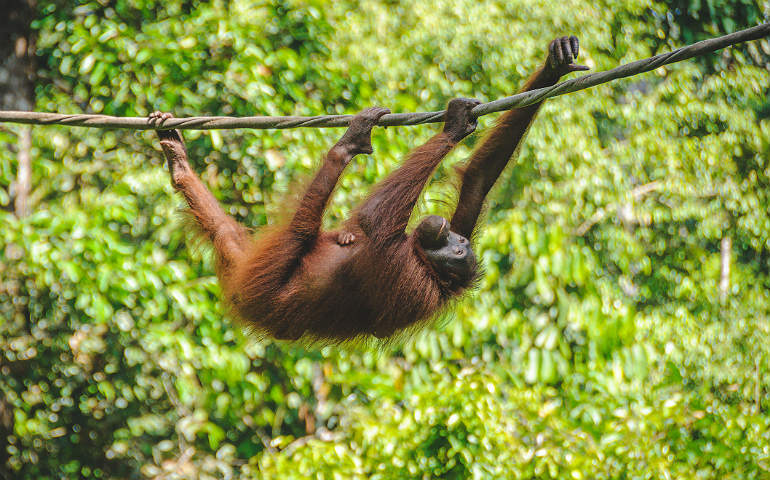 Home to unique and endangered species like the proboscis monkey, pygmy elephant and orang utan, a river safari is ideal for spotting these animals in the wild. The Borneo Sunbear Conservation Centre (BSBCC) located opposite the Orang Utan Rehabilitation Centre in Sepilok, near the seaside town of Sandakan, is dedicated to rescuing and rehabilitating the elusive Malayan Sun Bear, many of whom are orphaned or kept as illegal pets. Visitors can catch a glimpse of these nimble creatures climbing trees and hunting for insects in their forest enclosures. Alternately, volunteer at the centre where you’ll get feed, look after and design enrichment for them over a two-week period. Surrounded by calm warm waters, Sabah offers the country’s best diving despite stiff competition from Kelantan and Terengganu. Frequently listed in the world’s top 10 diving sites, Sipadan is a magnet for wall divers and underwater photographers who come for barracuda tornadoes and schools of hammerhead sharks. Semporna provides access to the fabulous islands of Mabul, Mataking and Kapalai. Volunteer and dive with TRACC who are based on Pom Pom, and is the brainchild of Professor Steve Oakley, a marine biologist and conservationist who sadly died in 2016. 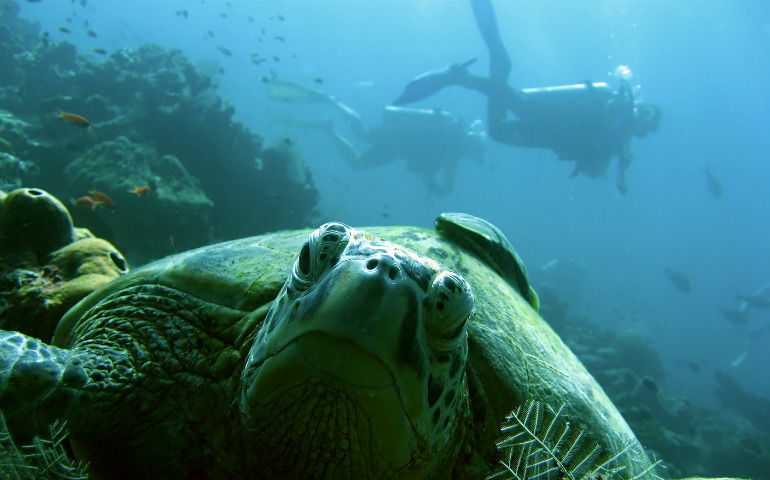 His work continues and you can contribute by helping to repair coral reefs where turtles nest and are sighted daily. 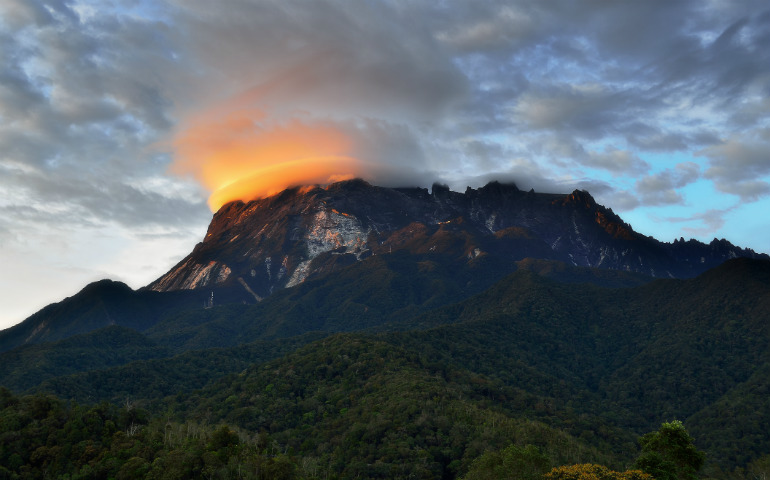 At 4,095 metres, climbing Aki Nabalu (as Malaysia’s tallest mountain, Mount Kinabalu, is known colloquially as) is quite a challenge. There are two routes to the top via Timpohon and Ranau with a third (Kota Belud) being developed. Booking ahead is essential, and you can also experience the world’s highest Via Ferrata. Not for the faint-hearted, you’ll climb down vertical rock faces, dangle over verges and navigate narrow bridges clipped to a steel cable at 3,776 metres above sea level. And yes, kids (above ten) can do it too. The less popular Gunung Trus Madi is Sabah and Malaysia’s second tallest peak and is reputed to be even harder as you make your way over tough terrain through dense jungle and must camp overnight. A stone’s throw from Kota Kinabalu Park, Kundasang War Memorial’s Contemplation Garden is a simple but powerful tribute to the 2,345 allied prisoners of war (POWs) and locals that died during the Borneo Death March and Japanese Occupation. You can retrace the final steps of these brave men by trekking the Sandakan Death March trail. Australian-based company Wild Spirit Adventures runs a ten-day trek on average twice a month, while local outfit TYK Treks offers a nine and 12-day trek option and includes a visit to Labuan’s Commonwealth War Cemetery. According to the state tourism board, the eastern part of Sabah (from Kudat in the north to Tawau near the Indonesian border) has been designated as the Eastern Sabah Security Zone. Security forces are stationed on islands with resorts with a curfew running from 7pm to 5am. Check your country’s security warnings on this region before travelling.